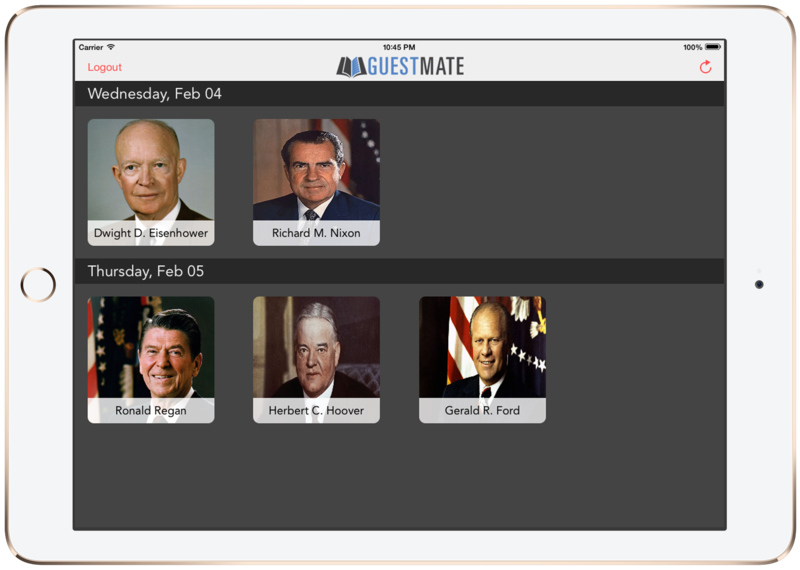 Guestmate is a modern electronic funeral home guestbook that aims to help visitors and families make a difficult moment easier. 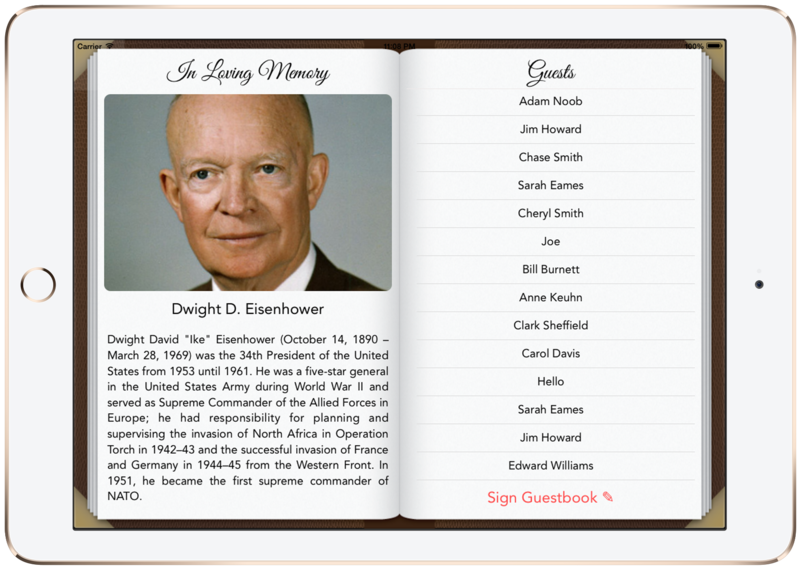 The guestmate electronic funeral home guest book provides a conveniet user interface similar to traditional register books. 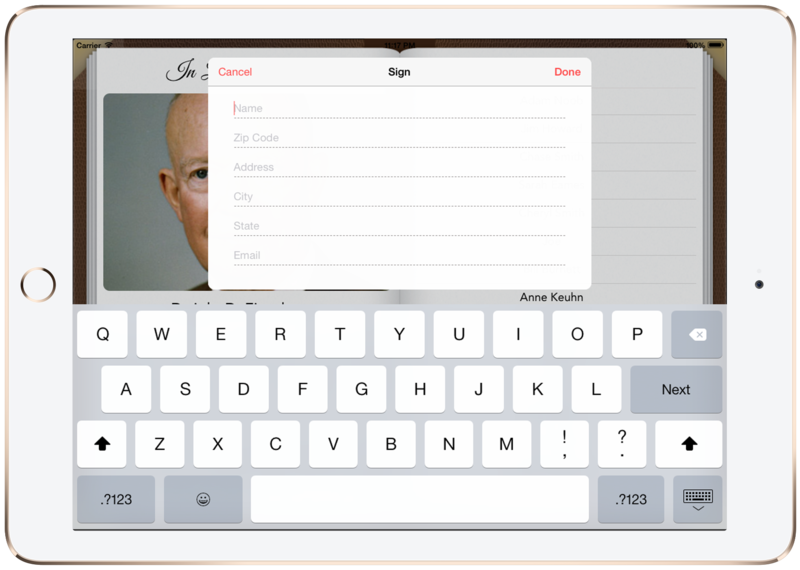 Allow guests to sign the guestbook for easy export later. Display custom images and text for a more personalized experience. No internet, no problem. All signatures are stored locally and can be synced once a connection is available. Operate as many devices as you need to fit demand. 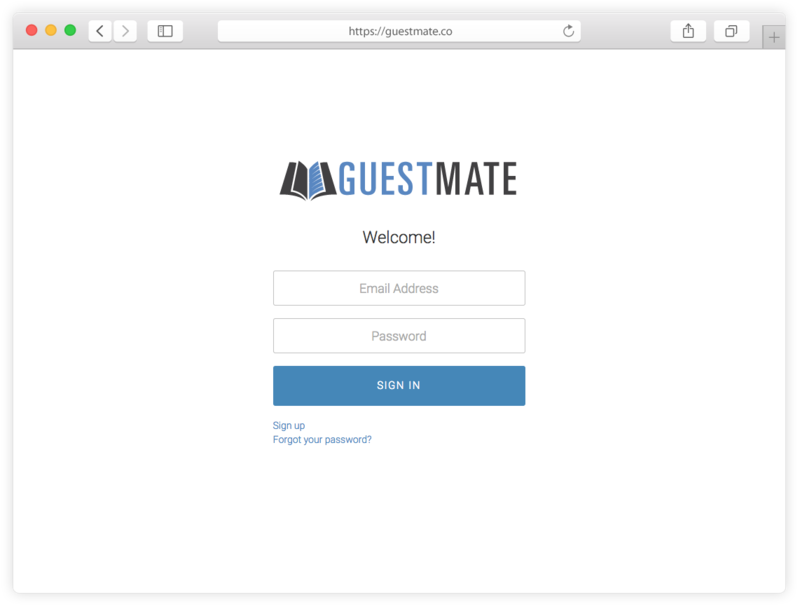 The guestmate electronic funeral home guest book syncs data to our servers which can then be exported as an Microsoft Excel spreadsheet or Avery 5010 labels. 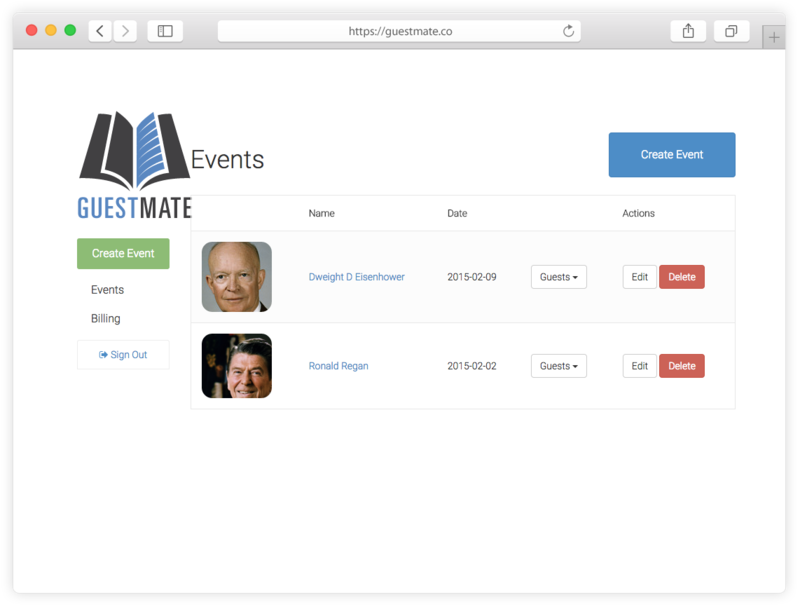 Create and modify events from anywhere. Easily upload custom images and size to fit in seconds. Export guests list as a spreadsheet (CSV or XLS) or PDF. Export guests list pre-formatted as Avery labels. Pricing for the electronic funeral home guestbook is based on the number of events per month and the length the data is retained in the system. 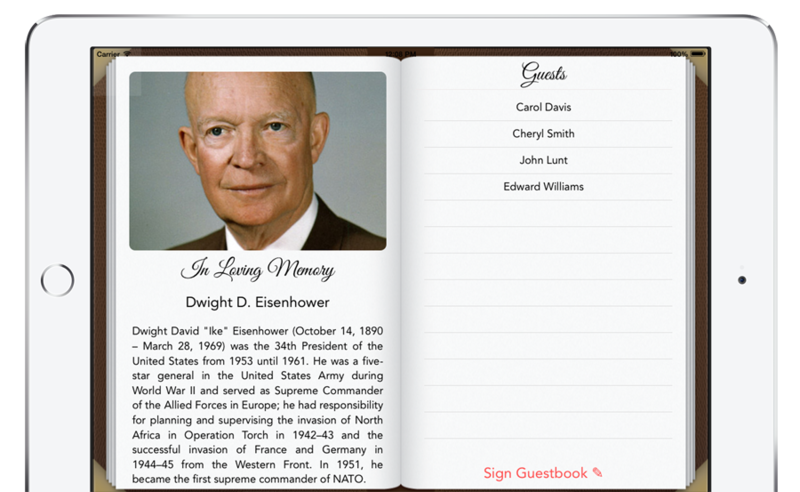 30 Day Free Trial - See how the Guestmate electonic funeral home guestbook can add a high-tech feel to your funeral home. No specialized equipment is required. All you need is an iPad!